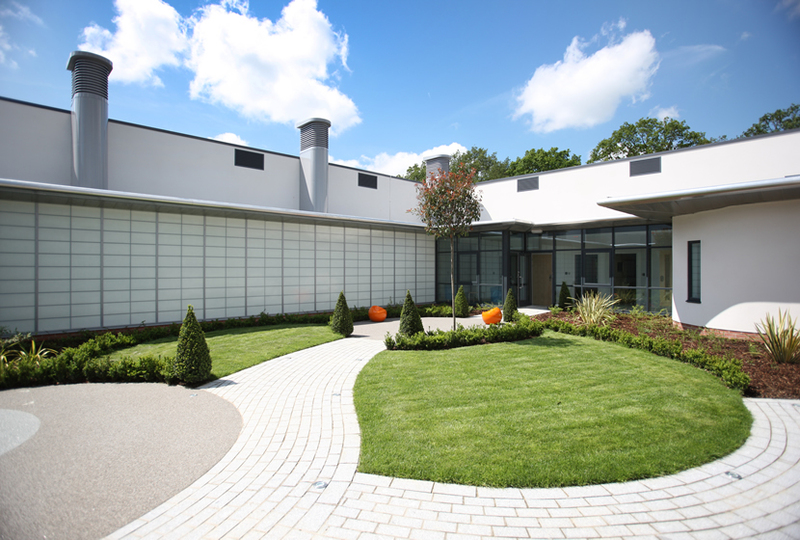 The site was developed to provide a secure unit for children & young adults who need mental health care. The new CAMHS (Children & Young Adult’s Mental Health) Unit is set within the grounds of Severall’s Hospital, which is a highly vegetated & tree covered former Victorian mental hospital. 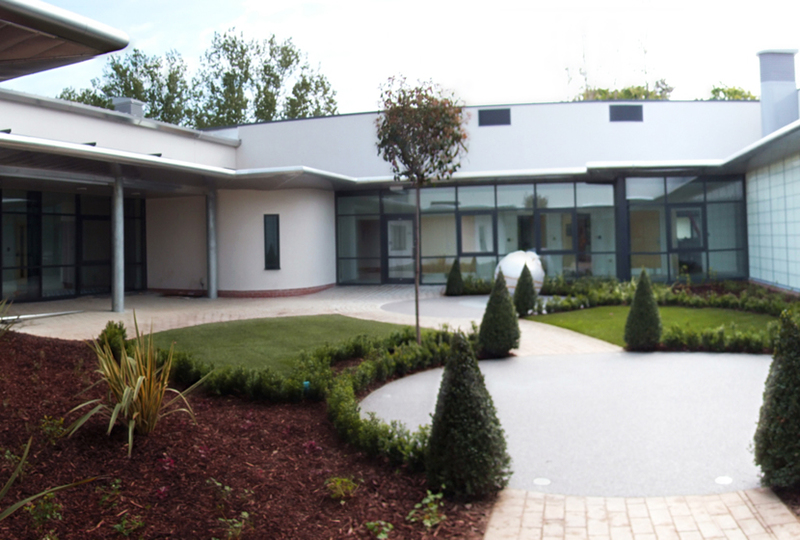 Two separate wards, Intensive Care & Generic Care, wrap around three internal, secure courtyards. 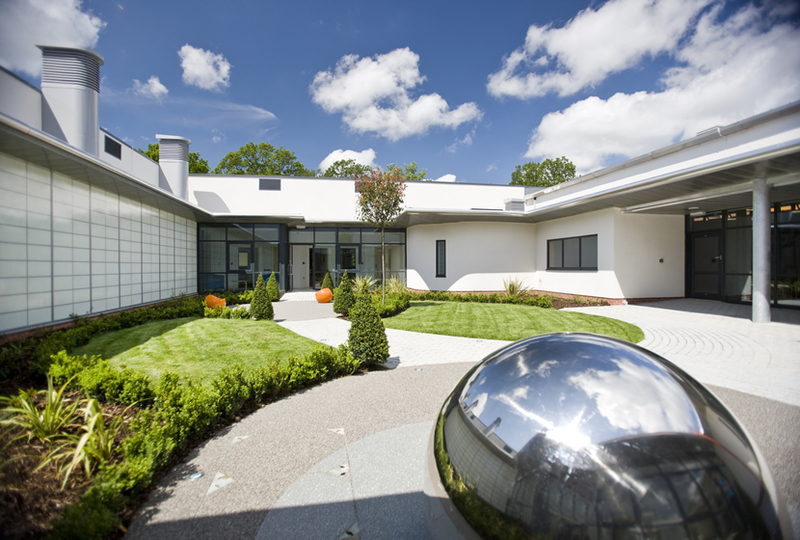 Two courtyards are designed as calming ‘garden’ spaces, allowing for contemplation & solitude, with planting, lighting, lawns, circular & meandering paths that provide for specific therapeutic, patient use; robust in style & free from danger, as there is a high risk of self harm by resident patients. A third courtyard provides an enclosed games court to encourage physical activities within a safe environment. The aim was to create an innovative design across the internal & whole external environment, whilst integrating the building within the surrounding landscape; increasing permeability throughout the site when viewed from the building’s interior and external public realm. The design intentionally avoids the traditional appearance associated with ‘institutionalised’ buildings, omitting the use of security fences & encouraging positive visual interaction with the local community. A picnic area for use by staff is located outside the building with water attenuation swales surrounding the building; placed sympathetically to avoid impact on existing trees, to ensure a ‘best fit’ design within the site. The whole scheme has achieved a BREEAM ‘excellent’ rating.